Ever since I first read "Get Better Sound" by Jim Smith and put his procedures into practice, I've been a believer. I had always wanted to have Jim come and do a voicing, but I never kept a pair of speakers long enough to do so. So, just after getting my Avantgarde Duo Mezzo XD's, I immediately thought of Jim. Jim was the distributor for Avantgarde for many years and has set up more pairs of Avantgarde speakers than anyone on the planet. Also, Jim is the only one to receive repeated standing ovations for his setup of Avantgarde's at CES many years ago. So the decision to hire Jim was a no brainer. Jim arrived at my house on Tuesday. Jim brings his equipment - DAC, cables, measuring equipment, etc. in multiple suitcases. After our initial greeting, Jim proceeded to plug in his DAC, cables and other equipment in order to get them warmed up for tomorrow's work. On Tuesday, we simply listened. Whatever I played was fine. Jim didn't say a word, he was quite stealthy in what he was thinking. He was simply processing information on what he was hearing. After a fun session of listening, we went for dinner along with Mark (MDP) and John Chait (a local audiophile friend). After a good nights sleep, Jim got to work early. Jim begins by connecting his DAC, cables, Laptop, software, etc. to my system and cycling through dozens and dozens of test tracks he brought. Sometimes he listens to 30 seconds, sometimes several minutes of a song, but many times, he goes back and listens to the same song over and over again to verify what he's hearing. After about two hours, Jim moves to his next phase of the process: measurements. Out come the tripods, laptop, proper measuring equipment, microphones, etc. Jim begins measuring and analyzing the room. He is looking for the best place in the room to sit. Forget about the speakers for the meantime, where you sit in the room impacts EVERYTHING. Sometimes the best spot is not the most practical, but regardless, Jim will find the best spot that is the most practical. We were able to watch in real time as Jim moved microphones around and we achieved the best spot. It was amazing to see the dips and peeks change as we moved the microphone around to eventually achieving a relatively flat bass response for the best seat. Now we move the seat to the ideal location and listen again. Jim once again cycles through his songs and various test tracks. Next up, Jim gets out more tripods and his lasers. By the time he's done, my room looked like a scene from the Matrix. There were lasers pointing at lasers, pointing at lasers. Jim is all the while writing down detailed measurements of the room. He is trying to find the "center" and many more data points. After that, we move the speakers to a location based on Jim's instructions and we use the lasers to ensure accuracy within 1/64 inch or less! In my case, the speakers were moved a little closer together and moved closer to the listener (since the ideal listening spot was back from where I originally had the chair). Once done, we listen, we measure and we listen more. We fine tune the speakers locations. We also fine tuned the rake angle of the speakers. For several hours, we are making minor tweaks. At this point, we have achieved a huge improvement in sound. My initial thought as I sat there listening was "I don't hear the room anymore". We had amazing depth, nuances in songs were jumping out where before they were hidden. We had pinpoint imaging and vocals were the right size. We also had layering and layering in terms of soundstage. Jim's efforts produced sonic improvements greater than any new amp, preamp, cable, DAC, etc. COMBINED. In most cases, Jim would have been done, but not so with the Avantgarde XD's. Using the PEQ functionality of the speaker, now we could really fine tune the speaker to the room. For the next several hours, we measured, adjusted, listened, measured, adjusted, etc. until we achieved yet another level of improvement: perfect integration of the speaker into the room using the Avantgarde XD's new PEQ functionality. As we approached early evening, we were done and Jim was pleased. I was delighted! The sound had improved 10 fold. Mark (MDP) was with me and witnessed the entire setup from Jim. Jim is focused, methodical and determined to achieve perfection. He does not stop for lunch or take a break. He gets into the zone and keeps going until he achieves perfection. Hiring Jim smith was the best money I have ever spent in high end audio. The investment you make in Jim pales in comparison to the money we spend on a pair of speaker cables or new interconnects. I HIGHLY RECOMMEND you invest in a proper setup by Jim Smith. You won't know just how good your system can be until you do. That, I can guarantee. After reading Jim Smith's book "Get Better Sound" twice I hired Jim to come out to Chicago about a year ago. My results mirror yours. It is the best money I ever spent. Jim has set up more high end systems than anyone else I am aware of. He did an outstanding job for me. Mike.......Sounds like a rewarding event that produce excellent results. Thanks for all the photos. I like what you have done with the Wavewood and curved panels on the ceiling angles. I also have Jim's book and have learned much from many of his techniques. That's pretty interesting Mike. Reminds me of when I had my TV calibrated, the before and after difference was amazing. Obviously, changing speakers will affect the setup, but did you get any idea as to how adding/removing furniture, or making other changes, will affect the setup. I just ordered the book. Used copies are selling for twice the price of new on Amazon. LOL. Brilliant, thanks for the write up Mike and congratulations on the sound improvements. Interesting to read of the melt between objective measurements and subjective listening. IF audiophiles were capable of finding the best place in the room to place their listening chair - they could save thousands in equipment upgrades - the benefit of which is largely masked by poor room acoustics. Great writeup, Mike, thx for sharing! Interesting stuff. Thanks Mike for sharing that experience. One question , why did Jim bring HIS DAC ? I thought you had a decent dac. Ah! Good question! Because he knows EXACTLY how his DAC sounds. First of all, I'm glad you are very happy with the setup. I know that room has given you a hard time acoustically to set equipment in the past. I spoke with Mark on Friday and he was blown away by the transformation. 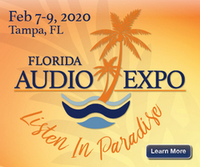 I'll be visiting Tampa in May and hope to come over and listen to your system. Now, the question, will you still have this speakers then? Glad that you are happy with the results Mike. Clearly a super endorsement for Jim Smith. Last edited by MDP; November 9, 2015 at 09:05 AM.